I wore this (with an overcoat) on our flight to New York on Monday – although it’s freezing here, I’m not about to sacrifice my style for ski-like garb. The suede boots are very insulating, so I’m basically wearing pants here, and the All Saints leather jacket is super heavy and warm. I’ve been getting a ton of use out of my latest infinity scarf from Club Monaco too. All great basics for one comfy airport ensemble! 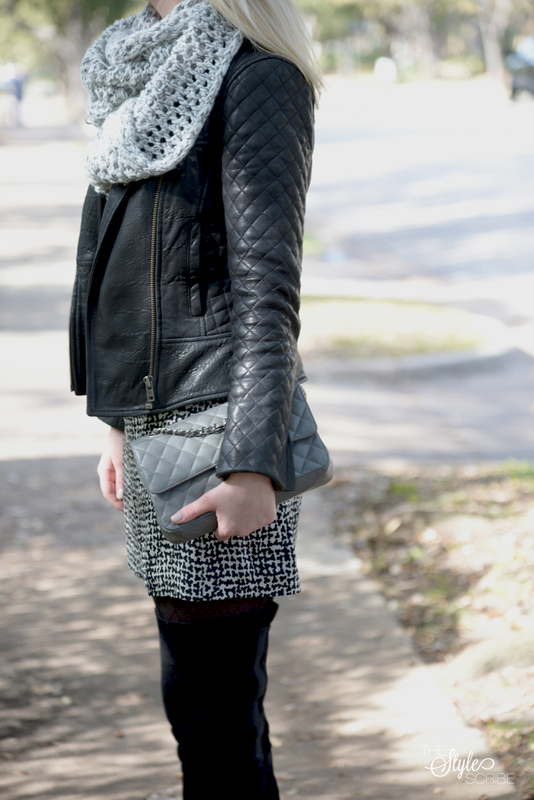 Love the chunky scarf & quilted jacket – this is the perfect travel wear…comfortable, but chic! Love the entire outfit! You look chic! Enjoy NY!